Prospecting for Diamonds and other gemstones. Diamonds are carbon that crystallized under enormous pressure deep under the surface of the earth. The element Carbon can be very soft such as Graphite or harder than a Diamond such as Carbonado and Lonsdaleite. Carbonado and Lonsdaleite are rarer to find than even DIamonds. Lonsdaleite named in honor of Kathleen Lonsdale is found in meteorites containing graphite, the great heat and stress of the impact transforms the graphite into diamond but retains the hexagonal crystal lattice. Carbonado has only been found in The Central African Republic and Brazil in younger sedimentary rocks. As a senior in highschool I had a course in Mineralogy, the teacher had a specimen of Kimberlite from South Africa which he claimed was the only source of Diamonds. After studying the specimen I told the teacher that I knew of a local deposit of Kimberlite. The following weekend I went to the Sloan Ranch on Rabbit Creek and got a chunk of what was then called Serpentine which the Sloan Family quarried and sold for counter tops. When I showed the rock to the teacher he was very surprised we crushed part of the specimen and found a very small Diamond. The teacher claimed that I was fooling him and that I some how got a specimen from SOuth Africa. I took the teacher up to the Sloan Ranch and showed him where I got the rock in a deposit that was eroded from the bank of the creek, which the Sloans were quarrying. Later years this was the site of the Sloan Diamond mine. Kimberlite is not the only host rock of Diamonds another host rock is Lamproite. 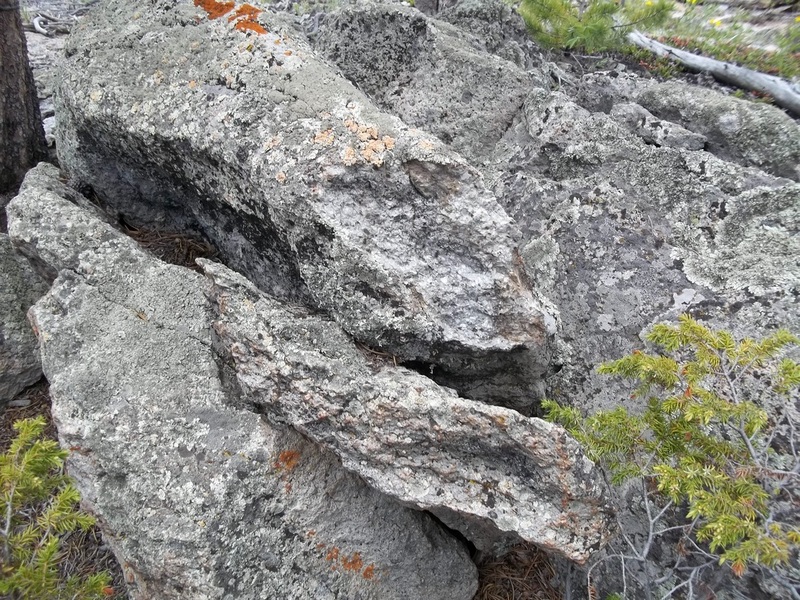 Recently I found a large outcropping of this host rock near Manhattan Colorado. Tantalum and other rare earths. It is feasible that this recent discovery is a valuable resource for Larimer County and the nation. Although there are numerous deposits of the above minerals in the United States we are mining very few of them. These mineral are of strategic importance, but the nation is importing them mainly from China.